Whether you are a skilled chef or haven’t quite mastered the art of the grilled cheese, no cook’s kitchen is complete without proper lighting. Of course, lighting is key to the functionality and design of any room in a home, but in a space that’s as technical as a kitchen—where activities include chopping, recipe-reading, plating, serving, pouring, conversing and digging in—it’s especially important. So how do you design a well-lit and efficient kitchen worthy of the title “heart of the home”? It might be more complicated than you think. When designing a client’s home, Design Studio implements three types of kitchen lighting: overhead, task and accent. Each of these sources serves a different yet equally important purpose, and we don’t consider a kitchen complete without the entire trifecta. The bones of kitchen lighting, overhead lighting illuminates the bulk of the space, and is typically the first switch you reach for when entering your kitchen. This is often a series of bulbs recessed into the ceiling for a clean, no-frills look, or a grouping of simple flush-mount fixtures. It might not be the sexiest type of kitchen lighting, but task lighting is essential to a functional kitchen. 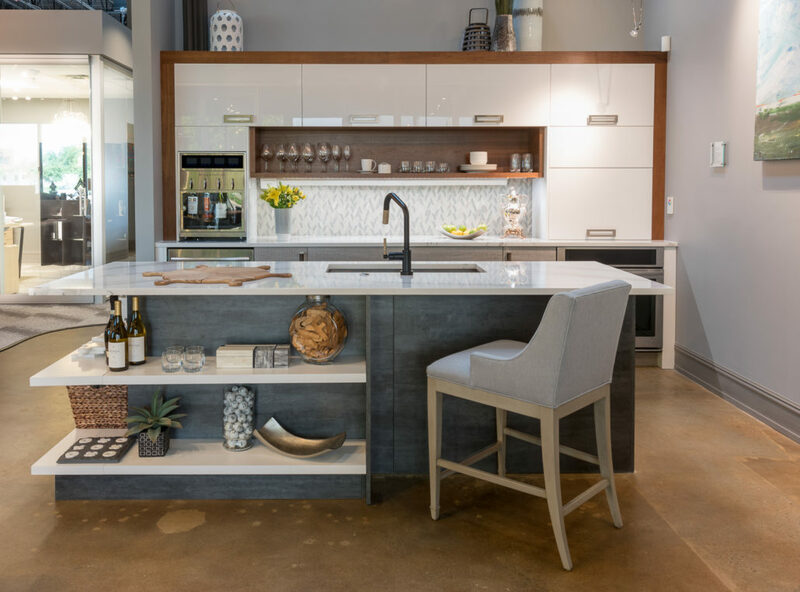 Typically hidden from the naked eye, task lighting is installed under cabinets and range hoods or even within pantries and cupboards so you can easily spotlight the small area you’re working in or quickly access ingredients and cooking tools. LED lights, the newest trend in kitchen lighting, work perfectly as under-cabinet task lights. LED bulbs are long-lasting, energy-efficient and give off almost no heat, making them a go-to product for reducing fire risk in the kitchen. We like to refer to this type of lighting as the “jewelry” of the kitchen. 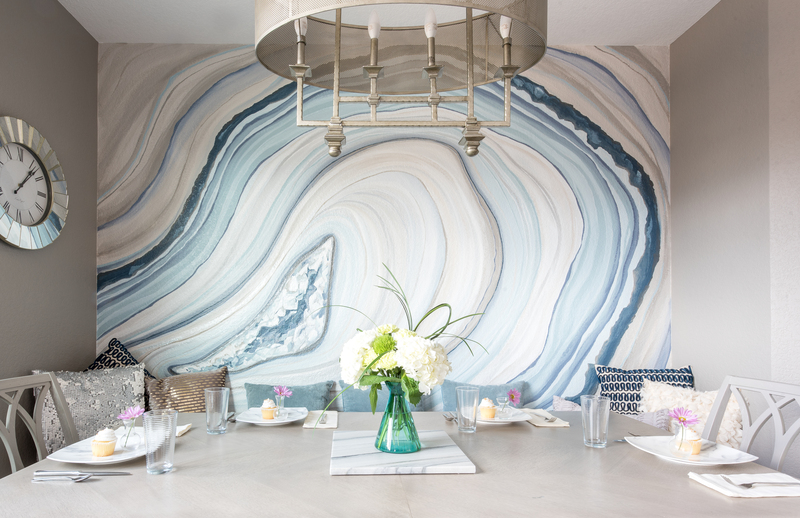 Accent lighting can take the form of sconces, chandeliers, or our personal favorite—pendants suspended over prep islands or kitchen tables. Whether you go for glitzed-out or classic-chic, accent lighting allows your personal style to shine and creates a focal point for the room. Ready to get cooking? 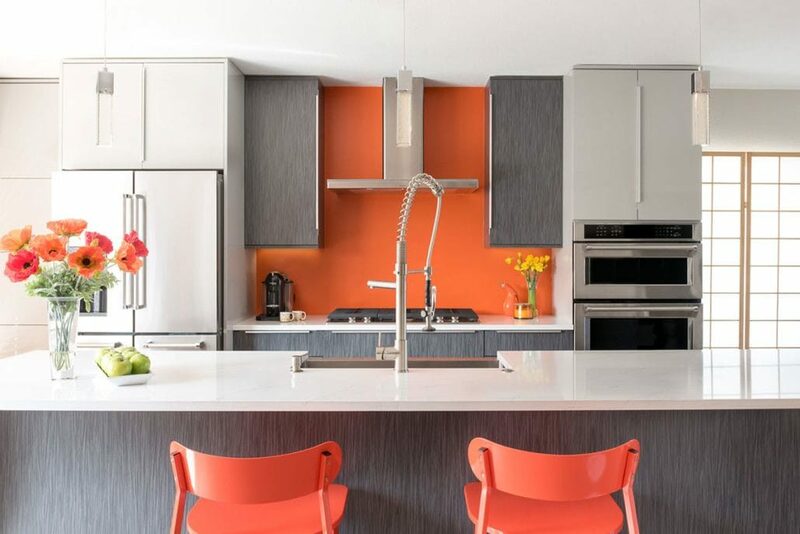 We have a team of highly skilled interior designers are here to help you help properly illuminate your kitchen or tackle a full design or remodel. 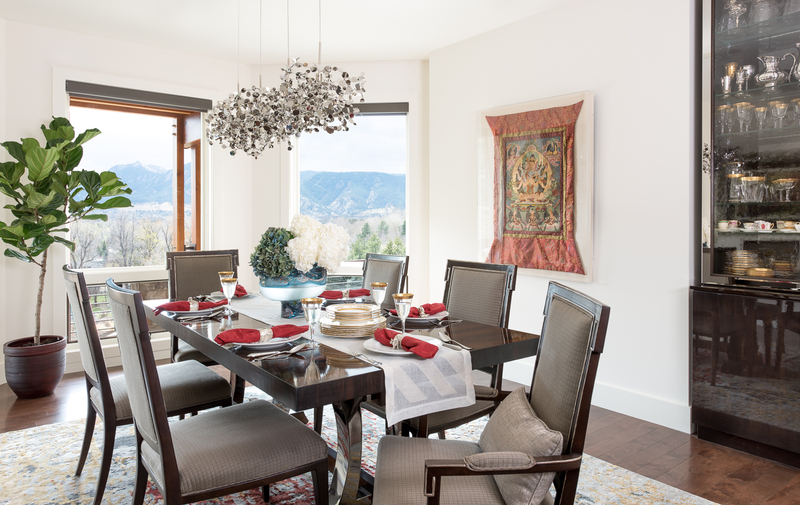 Stop by our Boulder Design Center today to meet with a design professional or browse our sourcing room with details on hundreds of light fixtures in an array of styles. Bon appétit!